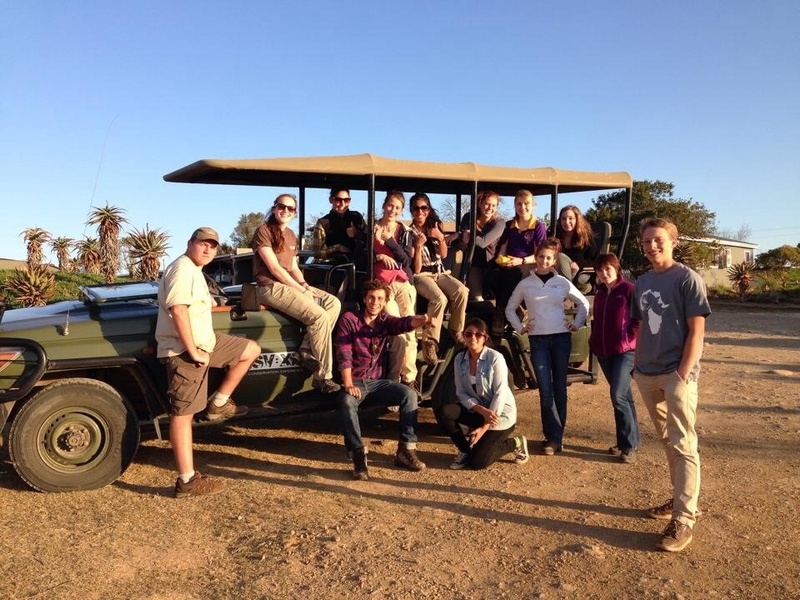 It's safe to say I get bored easily, so when the opportunity arose to travel to South Africa to gain some work experience with the wildlife vets out on Shamwari Game Reseve I made it my mission to convince my parents to let me go. I can understand why they were nervous, I didn't know any of the other students that I'd be living with for 2 weeks, I'd never flown by myself before and I had very little knowledge about the kind of work that I'd be doing, I'd only ever worked with household pets, not big cats and antelope. On the basis that it would help my vet school application and after I promised to call everyday they let me pack my bags and thank god they did. South Africa has probably been the best thing I have ever done. I had so many new adventures including conducting a deer post mortem, game drives on most days and helping with a mass capture of wildebeest and ostrich so they could be translocated, which required me to cover myself in branches and look like a tree. On joining an anti-poaching team for a day I was taught how to shoot a shot gun, probably a regretful mistake on their part, as I can't aim for toffee. Not wanting to miss an opportunity I faced my slight fear of heights and zip-lined over waterfalls, seeing the most beautiful views, topped only by the view of the Jeffery's Bay as we rode along the beaches on horseback- another thing to tick off my bucket list. Looking back the whole trip seems somewhat dreamlike. I may never get the chance to stroke a wild cheetah again (admittedly it was unconscious) and where else in the world would I get to follow a herd of elephants around for a day for a behaviour study? We worked in the community too, painting a school classroom and getting to know the kids and teachers, but the one thing I'll take away from the adventure more than anything else is the friends I made on the trip, who, despite living everywhere from Perth, to Zürich, to Chigago continue to inspire me and remind me of what it is to travel and the importance of it.